Hey mustang family, recently my 07 mustang has been leaking coolant. I've checked every hose but didn't see any leaking from any of them. I was able to see leaking from a bolt under the car (where i suspect the water pump is). 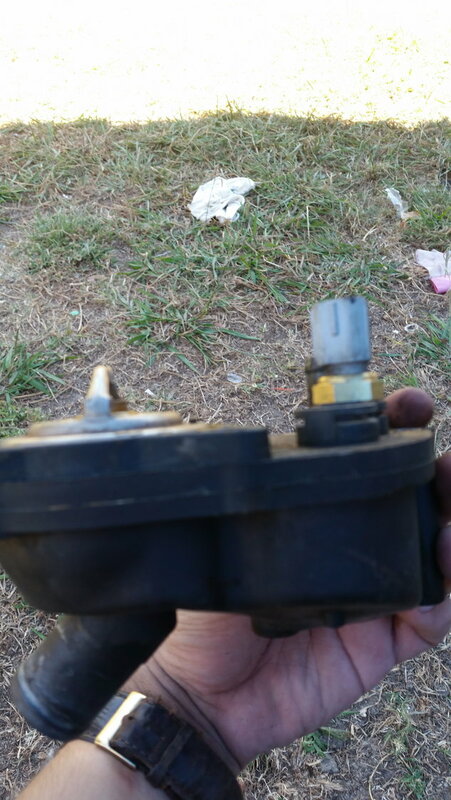 I plan on taking it to diffrent shops to see what exactly is the problem and whats the price. Being that i dont really have alot of moneyto spent right know, i might have to DIY. So hopefully someone can help me out. I would upload some pictures later on to show where the leaking is coming from since i wasnt being specific enough. Any advice would help. Thank guys. Fortunately changing the water pump is an easy job on our cars and within the capability of a DIY mechanic. 1. Disconnect the wiring connector to MAF sensor. 2. Remove the airbox, intake pipe to throttle body, and the PCV hose to passenger side valve cover as a complete assembly . 3. Loosen the water pump pulley bolts (easier with the drivebelt still in place). 4. Release the drivebelt tensioner with a breaker bar and remove the drivebelt. 5. Place a large bowl under the engine. 6. Remove cap from coolant expansion reservoir. 7. 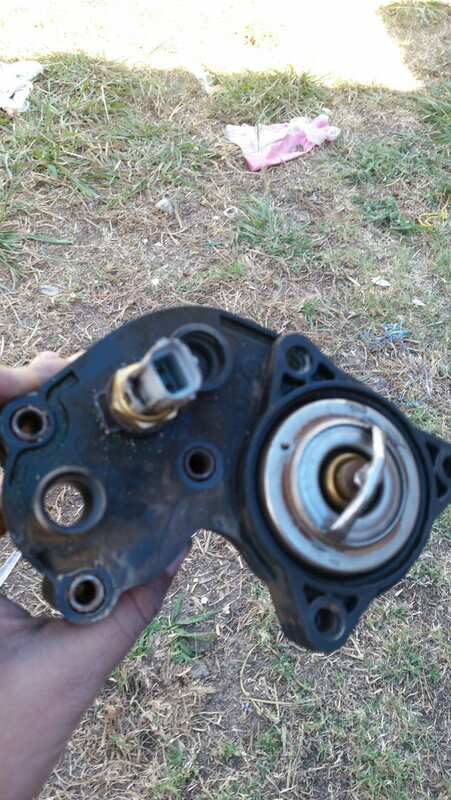 Remove the water pump pulley to gain access to the water pump retaining bolts. 8. Remove the retaining bolts and separate the water pump from the block. Coolant will gush out into the bowl you placed earlier. 9. 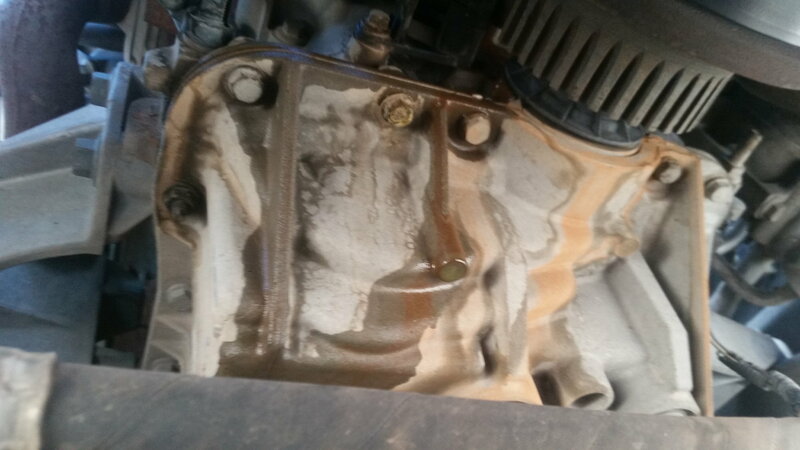 Clean the block mating surface and also clean the threads on the water pump retaining bolts. 10. 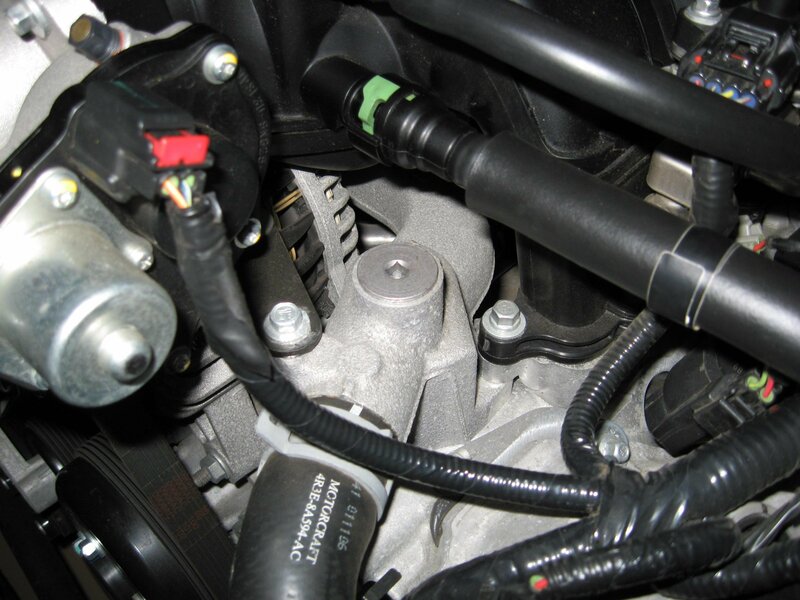 Apply a light smear of vaseline or grease on the new water pump's rubber seal. 11. Install new water pump and torque bolts to the required spec. 12. Reinstall water pump pulley with the bolts only finger tight at this stage. 13. Reinstall drivebelt and tighten water pump pulley bolts to the required spec. 14. Reinstall air intake assembly and remember to plug the wiring connector back into the MAF sensor. 15. Remove the bowl from underneath the engine and safely dispose of coolant. 16. Refill the cooling system preferably with a combination of Motorcraft Gold concentrate and distilled water (50:50 mix) up to the cold fill mark on the expansion reservoir. 17. Start the engine, leave it to idle with the cap still off the expansion reservoir, and switch on the heater (or defroster). 18. Slowly add more coolant to the reservoir until there are no more air bubbles and the level begins to rise above the cold full mark. 19. Replace the cap and go for a 10-15 minute drive to bring the engine up to normal operating temperature. 20. Allow the engine to cool down again for at least 4 hours, check the coolant level in the expansion reservoir, and top up as required. If the engine runs hotter than normal despite the coolant level in the reservoir being correct, there may still be a pocket of air trapped in the cooling system. Next time you start the engine from cold, release the bleed screw on the top of the water neck and allow any remaining trapped air to escape. You might want to place a rag around it beforehand so it doesn't make a mess. If that still doesn't work, you'll need a special vacuum kit (available from Amazon) to get the job done. 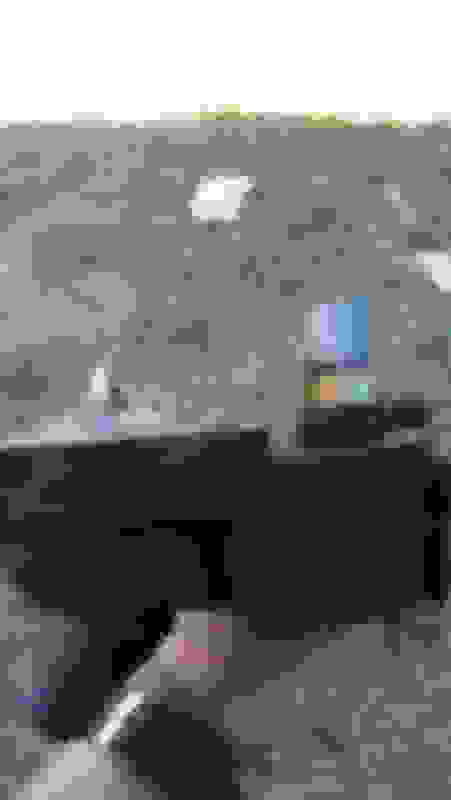 Last edited by Dino Dino Bambino; 09-02-2015 at 12:15 AM. Do you have the 4.6 or the 4.0? If the 4.0, have you checked the thermostat housing yet? That is the source of probably 99% of coolant leaks on the 4.0 V6. 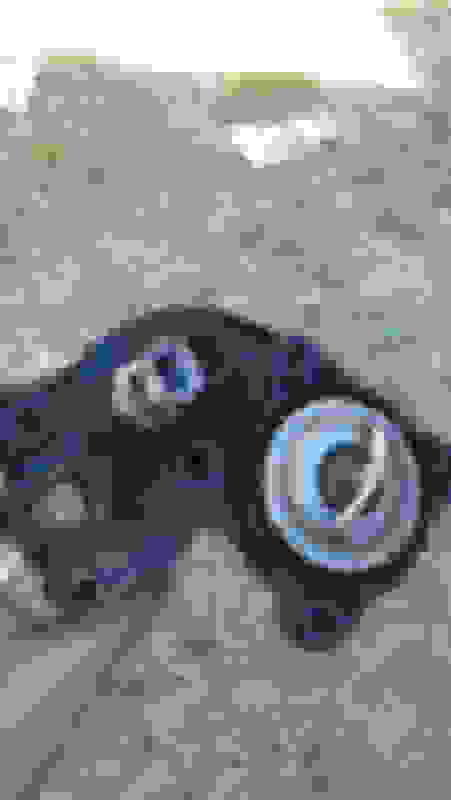 I have a 4.0 and heres a picture of i what i saw under the car after the my car went from a full coolant to a 1/3 coolant tank. The split usually happens in the seam in your second picture. Take a look under your intake manifold and see if you see any coolant there. When the split opens up it will blow under the manifold. So here's an update. From later inspection i found it was leaking from behind the water pulley. So i believe its the water pump. Only problem is that i couldnt remove it. The bolts are on tight, and yes the belt is on but the pulley still moves. I need some tips on how to remove.